I was asked to make an engagement ring for a gent called Seth in the USA.We looked for a beautiful labradorite that would have the perfect glow. Seth already knew he wanted the peacock style but wanted to incorporate a marquise stone, which was a fantastic choice as this works really well in this style. Once we found the perfect stone, the peacock design was delicately sculpted around that shape to weave the two beautifully into the peacock style. Whilst this is a very unique style of engagement ring, it will be a charming piece to wear every day and the stone will always glow in different lights. 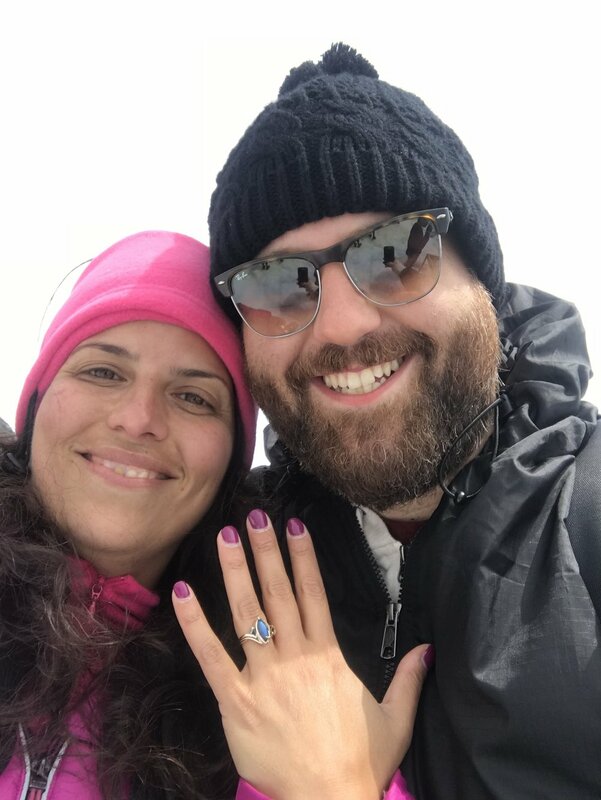 "The engagement was a success and the ring glowed beautifully in the light of the glaciers. I couldn’t have asked for a better presentation. I thank you from the bottom of my heart for being so flexible. "